The rivalry between Team Sky team-mates Chris Froome and Sir Bradley Wiggins may be respectful, but it is less than affectionate. A new book reveals that Wiggins considered quitting the 2012 Tour De France, which he eventually won, because he thought that Froome had "stabbed him in the back". The book, by former Team Sky general manager Sean Yates, explains that Wiggins felt betrayed by a surprise attack from Froome during stage 11 at the Alpine ski station of La Toussuire four kilometres from the end. Wiggins, who was team leader, felt this infringed team protocol and sent Yates a text message saying: "I think it would be better for everyone if I went home." Yates writes that Froome's move had shocked Wiggins. "He was upset and felt like Froomey had stabbed him in the back after the discussion we'd had before the stage. He couldn't understand why he'd gone back on the agreement, especially when everything was going so well." To the outsider it might seem that Wiggins was being a prima donna, sulking because a team-mate had outstripped him. It's a little more complex than that. In the Tour, team discipline is paramount and Wiggins himself was willing to follow team orders in order to support the chances of then team-mate Mark Cavendish in the sprint stages. Wiggins has a strong sense of what is right, and Yates writes that Wiggins was touchy about such matters. "His mental state was always fragile, and that psychological blow could have been a knockout one." 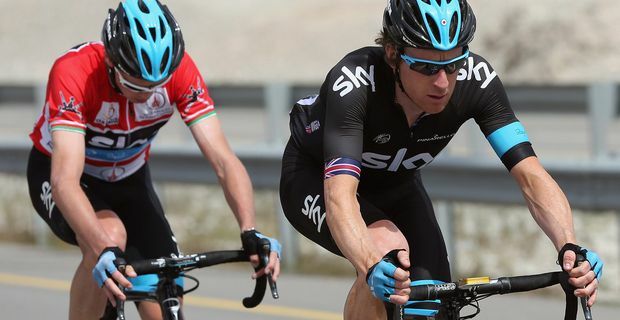 Team Sky are likely to close ranks in support of both riders. Yates left the team under a slight cloud in 2012, following principal Dave Brailsford's avowed policy of zero tolerance of doping. Yates had been associated with disgraced riders such as Lance Armstrong and Bjarne Riis, although he denies any personal involvement in doping.